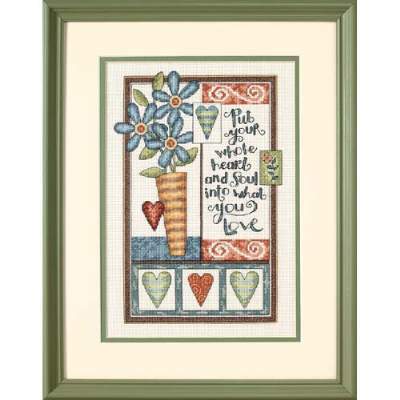 This colorful, floral design features a folk art touch and a delightful reminder to do what you love. 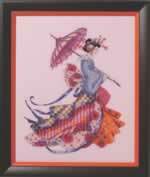 It's perfect for any room, but also makes a wonderful gift. This lovely design is a full kit from Dimensions. 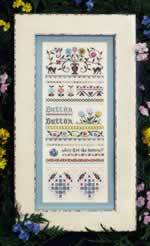 Kit includes 14ct Ivory Aida, floss, needle, and instructions. Finished size is 9" x 13".